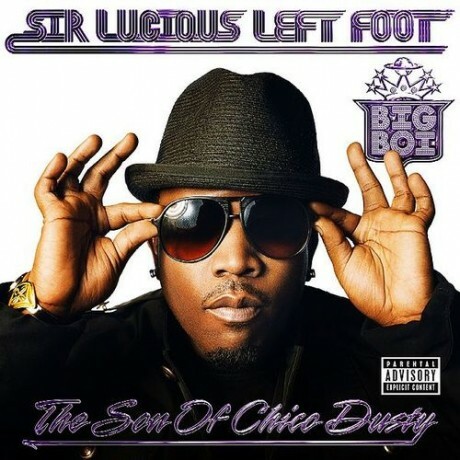 Big Boi finally released his solo debut album on July 6th, Sir Lucious Left Foot: The Son of Chico Dusty. If you don’t know Big Boi was in OutKast, considered one of the greatest hip-hop groups from the South earning six Grammy Awards and selling over 25 million copies of OutKast’s eight album releases. I said finally earlier because originally Sir Lucious Left Foot was set to release in 2008 but it got postponed because Big Boi left Jive Records over creative differences and the label’s unwillingness to release and promote the album. But in March 2010, Big Boi signed a solo album deal with Def Jam Recordings and finally after three years of recording songs for the album starting in 2007, the album was released. Check out “Follow Us” featuring Vonnegutt and “Shutterbug” which was used in the 1st episode of the 7th season of the TV series Entourage. These songs are completely different from each other in terms of melody, genre, and tempo. Let us know which one you enjoy more! The best thing about Big Boi’s album Sir Lucious Left Foot is that none of the songs sound the same, each one having a unique feel to it. It’s the reason why I decided to blog about him today rather than an up-and-comer. Download the full album on iTunes. Tommorw check out our post about Vonnegutt, the band featured in the first music video above who is surely going to get bigger by being featured on this album and the future release of their debut album, Falling Up The Stairs, in stores later this year.